On July 5, 1989 Seinfeld aired its pilot, and though “The Seinfeld Chronicles” would bear little resemblance to the show it launched, it introduced the series into the cultural consciousness. Throughout its run, Seinfeld fostered countless, soon-to-be-ubiquitous references, ones that still get dropped, like an air conditioning unit onto a dog, across myriad parodies, novelty T-shirts, and mock movie posters. And now many of them will come to life yet again as the New York Mets Class-A team, the Brooklyn Cyclones, holds its very own “Seinfeld Night” this July. 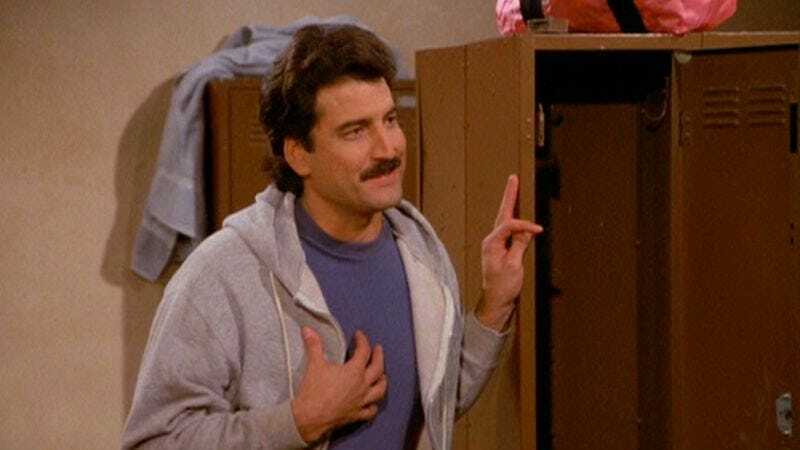 Serving as a sort-of 25th anniversary celebration of the show’s debut, the Cyclones will be giving away 2,500 Keith Hernandez “Magic Loogie” bobbleheads. Meanwhile, their stadium will be temporarily renamed Vandelay Industries Park, after George Costanza’s fictional company, while also offering legitimate latex salespeople free admittance, provided they can produce a valid business card upon entry. Lest Seinfeld references overshadow the displays of athletic prowess that a New York Mets minor-league team surely possesses, its players will take batting practice in puffy shirts, while fans dressed as Newman-esque mailmen will throw out the first pitch. To make sure no reference goes un-dropped, “Seinfeld Night” will also feature a table at which grievances can be aired, a game of Risk on the concourse, and contests for both cereal eating and dancing like Elaine. And in the unlikely event that anyone actually named “George Costanza” shows up, they’ll be invited into the radio booth to provide color commentary. Unfortunately, there’s no word about the distribution of free pretzels, ones sure to parch the palates of attendees and eventually bring about their wrath—which will only be redoubled after realizing they were tricked into watching a game from the Mets’ farm team.